Just as rebooting a computer fixes many issues, resetting your browser to its default settings can help fix several problems. Here’s how it works on Firefox. Unlike Chrome, Firefox hides the reset option in an unexpected location. You won’t find it under Firefox Preferences, which is probably where you’d expect it. Instead, you’ll find it under Help > Troubleshooting Information, packaged as the Refresh Firefox… button. Clicking on the Refresh Firefox… button restores Firefox to the state it was in when you first installed it. You know what this means, right? You’ll have to say goodbye to the browser setup you have painstakingly built and set up Firefox from scratch. That means installing themes and extensions, configuring Firefox’s behavior, and tweaking site-specific preferences again. Firefox does try to keep your history, bookmarks, cookies, and form data intact through the reset though. We recommend saving the reset option as your last resort. If you need to troubleshoot, try starting with Firefox’s Safe Mode first. 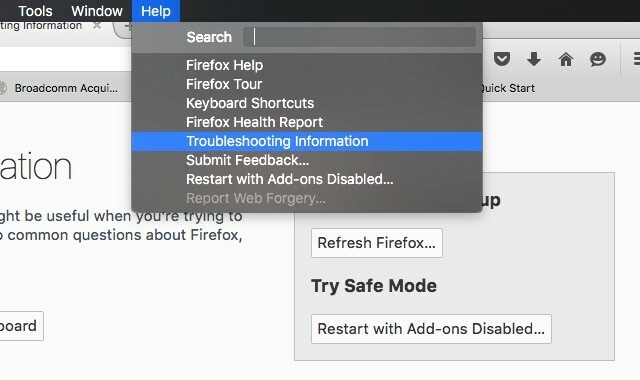 The Safe Mode option restarts Firefox with the add-ons disabled and certain settings turned off, making it easier to pinpoint rogue extensions and settings by turning them on one by one and observing what’s different about Firefox’s behavior in the normal and safe modes. Refreshing Firefox can be quite convenient if you want to fix browser performance, go back from your experimental Firefox changes, reverse the changes made by sneaky toolbars, etc. But do not take it lightly!